100sareepact | The ‘LAST DRAPE’ !!!! 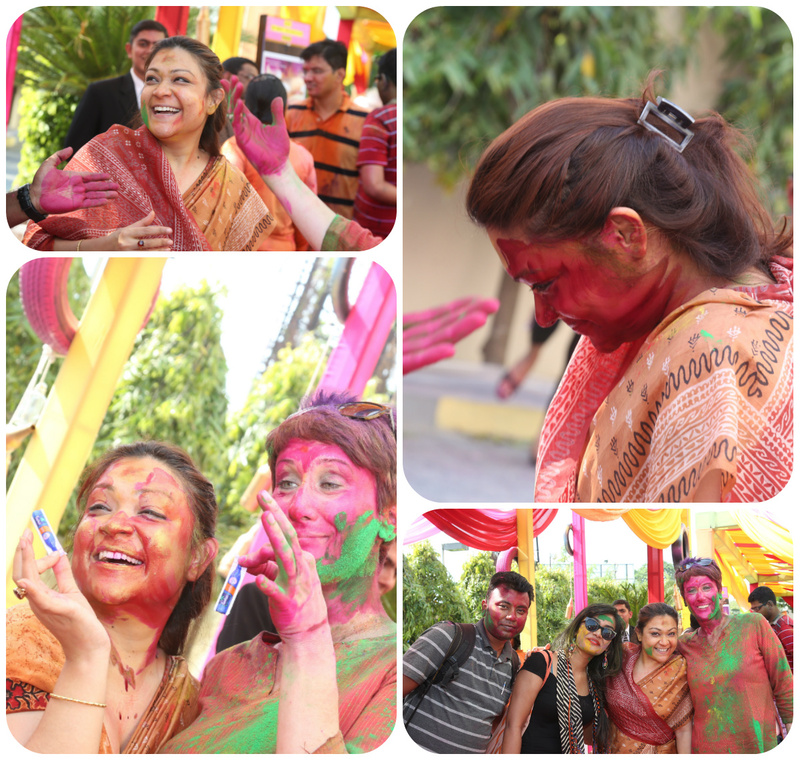 Holi of 2015 was celebrated in style! It was a ‘Holi-Day at Office’!!! We were hosting a special Holi bash in our green lawns; very busy and flooded with exciting & colourful guests..
64/100 #100sareepact is a brown & maroon coloured printed silk which I wore as an office wear on this day. A 50:50 patterned design, with small floral and traditional prints over the entire body. I was receiving guests, coordinating with media friends when one of our chief guests put colours on my face from back. It was sudden and I was not at all prepared. To save my white phone set I stood still, and accepted this colourful attack !!! The typical ‘Holi’ colours showed their charisma soon; the final touch was done,when one of my colleagues tipped a bucket of coloured water……..
My 64/100 drape can be truly positioned as the ‘Last Drape’! 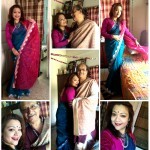 It was quite an old saree, but a loving one. I was thankfully having no make-up, no jewellery day! Check and do empathies how my photographer friends captured my helpless, candid moments through their lenses…. My Boss too enjoyed the Indian Holi and posed with me for a shot!